Editions de Parfums Frederic Malle allows 11 great perfumers, who have created many famous scents for great fashion houses, to use their talent in creating scents without adhering to certain guidelines. 'Perfumes without comprimise' is how Frederic Malle describes the 19 perfumes that have been created thus far. Perfumes are sold all over the world and can be ordered online. 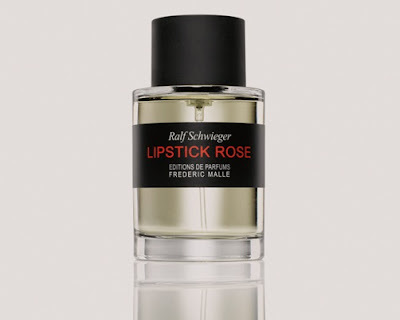 My personal favourite is Lipstick Rose, which has a rose note that is enhanced by violet and has a backdrop of musk and vanilla with a hint of vetiver and amber. Apparently the scent was derived from the artist's memory of the smell of his mother's lipstick when he was a child.